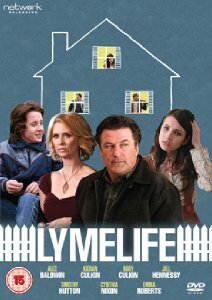 Infidelity, family feuds and first love combine in the Network Releasing DVD debut of LYMELIFE (15), available to rent and own on 23rd August 2010, RRP £14.99. Starring Emmy winner and Oscar nominee Alec Baldwin, Oscar winner Timothy Hutton, Rory and Kieran Culkin, Jill Hennessy, Cynthia Nixon and Emma Roberts, this critically acclaimed film won the International Critics Awards at the Toronto Film Festival in 2008. · Interview with Emma Roberts filmed in London in 2010 as part of the UK publicity tour.